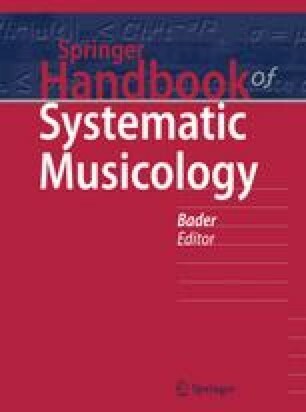 This chapter presents several computational approaches aimed at supporting knowledge discovery in music. Our work combines data mining, signal processing and data visualization techniques for the automatic analysis of digital music collections, with a focus on retrieving and understanding musical structure. We discuss the extraction of midlevel feature representations that convey musically meaningful information from audio signals, and show how such representations can be used to synchronize different instances of a musical work and enable new modes of music content browsing and navigation. Moreover, we utilize these representations to identify repetitive structures and representative patterns in the signal, via self-similarity analysis and matrix decomposition techniques that can be made invariant to changes of local tempo and key. We discuss how structural information can serve to highlight relationships within music collections, and explore the use of information visualization tools to characterize the patterns of similarity and dissimilarity that underpin such relationships. With the help of illustrative examples computed on a collection of recordings of Frédéric Chopin’s Mazurkas, we aim to show how these content-based methods can facilitate the development of novel modes of access, analysis and interaction with digital content that can empower the study and appreciation of music. This material is based upon work supported by the National Science Foundation, under grant IIS-0844654, and the Cluster of Excellence on Multimodal Computing and Interaction at Saarland University. The authors would like to thank Craig Sapp for kindly providing access to the Mazurka dataset and beat annotations.